');}//]]> TASUED Merit Admission List, 2018/2019 Released - Examexpo.com.ng – 2019 Waec Expo, Neco 2019 Expo, Jamb 2019 Expo. TASUED Admission List for the 2018/2019 academic session has been released. 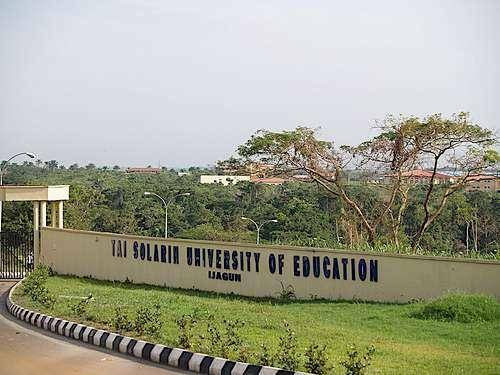 Candidates who participated in the Post-UTME screening exercise of the university can proceed to check if they have been offered admission. Candidates are to follow the procedure below to check their admision list. 2. Enter your Username (JAMB Registration Number), and your Password (Surname). 3. Select Prospective Student from the menu. 4. Click on Login to View your admission status and screening score. Admitted students are to print their admission letters and pay acceptance fee. 0 Response to "TASUED Merit Admission List, 2018/2019 Released"